Sir Kenneth Branagh poses this morning inside Belfast City Hall as he receives the 'Freedom Of The City' on January 30, 2018 in Belfast, Northern Ireland. 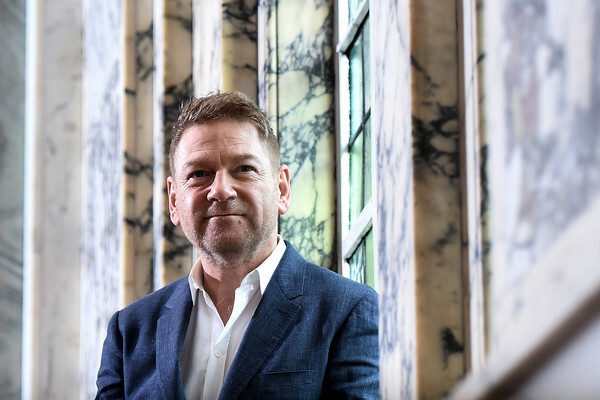 Sir Kenneth Branagh, born in Belfast before moving to England with his family aged nine will today officially become a Freeman of the City following a celebration event. Sir Kenneth said of his home city "You could see and feel the limits of where you lived, and you knew exactly who you were - Belfast, working class, proud".